Amazon is killing off its generous unlimited storage plan. In its place will be a set of plans which cost more for every terabyte of data you add. Unfortunately, this means customers looking to store masses of data in the cloud What Is The Cloud? What Is The Cloud? The Cloud. It's a term that gets thrown around a lot these days. 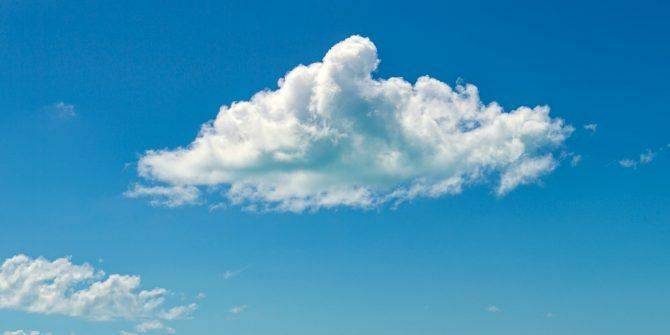 What is the cloud, exactly? Read More could be facing bills of thousands of dollars every year. In March 2015, Amazon introduced an unlimited storage plan. This allowed you to store as much data as you wanted on Amazon’s servers, for just $59.99-per-year. Unfortunately for Amazon, and any customers taking advantage of the offer, this turns out to have been a little too generous. Amazon is now killing its unlimited storage plan. From today (June 8) no new customers will be able to sign up for unlimited storage. Existing customers will hold onto the plan until their annual subscription expires. At that point, users will less than 1TB of data stored will be moved onto the new plan, while anyone storing more than that will either have to pay more or abandon ship. From now on, all customers will get 5GB of storage free. After that it will cost $11.99-per-year for up to 100GB, and $59.99 for up to 1TB. For every terabyte extra (up to 30TB) customers will have to pay an additional $59.99. Which would bring the total bill to a smidge under $1800. Amazon Prime subscribers Which Amazon Prime Subscription Is Right for You? Which Amazon Prime Subscription Is Right for You? Potential subscribers formerly only had one option when it came to Amazon Prime. However, now, Amazon is offering three different subscription plans so you can pick the one that best suits your needs. Read More still get unlimited photo storage, plus 5GB of storage for everything else, such as videos or documents. Amazon Drive users who find themselves using more storage than they’re paying for will have 180 days to delete some content, or Amazon will do it for you. This shouldn’t really come as too much of a surprise. Because, in hindsight at least, offering unlimited storage was too generous to be sustainable. It helps that other companies have introduced similar limits, with Microsoft OneDrive also having a free storage cap of 5GB. Regardless, this is bound to upset some customers, who may now take their data elsewhere. Are you an Amazon Drive customer? Have you taken advantage of the unlimited storage plan? How much data are you storing on Amazon’s servers? Are you upset at this decision? What are you going to do for cloud storage now? Please let us know in the comments below! Explore more about: Amazon, Amazon Prime, Cloud Storage. This pretty much blows, because it was the best deal available not just for cloud storage, but for fast cloud storage. Amazon would accept uploads as fast as they could be delivered on your end. I wasn't being overly abusive based on my storage demands - I have around 12TB of self-generated data on my Cloud Drive, but I was able to send the contents of a few external hard drives full of files through a 1Gbps synchronous internet connection at essentially line speed, finishing in a matter of days rather than weeks or months as I might have with Crashplan, Mozy or Backblaze. I can move my stuff in to Amazon Glacier instead, but the cost for my personal data is pretty serious, around $600 per year versus the $160 I spend on Amazon Prime + Cloud Drive now. I had been vacillating between stopping my (again, personal) LTO tape backup regimen in favor of Amazon's wonderful personal cloud, or buying a newer tape drive. I went with the Cloud based on Amazon's very responsive network access and ease of use. Looks like I chose poorly. I understand that I'm probably on the upper end of the storage usage, but even 10TB isn't actually a remarkable amount of data in 2017. "Which would bring the total bill to a smidge under $1800" - How are you calculating that?